Lawrence Carter Swain founded and incorporated Greenacres as a city in 1926. Swain’s purpose was to create a city for the working and middle class. Its name was chosen by through a city naming contest. The city lives up to its name. 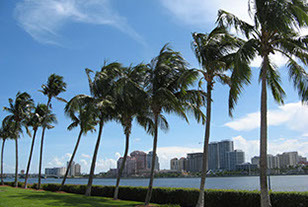 The National Arbor Day Foundation has named it as a Tree City USA for 20 consecutive years. Greenacres is home to 11 parks with over 93 acres of recreation space and activities. It is adjacent to Okeeheelee Park which has more than 1,700 acres of biking, hiking, fishing, equestrian center, golf course, etc. 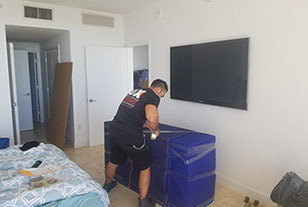 Lux Moving and Storage is your company for moving in Greenacres, with years of experience working with both residents and businesses in the area, who better to trust your belongings with than a Florida native, family owned and operated moving company. If you are looking for a moving company to service you, whether it be residential, commercial, local or long distance, we’ll get the job done! Greenacres has a population of over 38,000. With plenty of parks and green space, the great Okeeheelee Park is their largest park with plenty of outdoor sports and activities. Okeeheelee features boating, dog parks, camping, rentals, equestrian trail, tennis courts, mountain biking, fishing, etc. Being a mover in Greenacres demands knowledge of all the routes, tolls and general areas. When talking to a customer, a moving company in Greenacres should sound very familiar with the city they conduct business in. Being knowledgeable of the landmarks and areas, a mover in Greenacres could secure a client just by being in the know. Servicing the Greenacres area for 9 years now, Lux Moving and Storage have come to know all of the 5 square miles of Greenacres. We have left lasting impressions on the toughest client critics. All over town we continue to go above and beyond customer expectations, making a standard practice out of our client’s satisfaction. Be one of many to have a truly great moving experience and reach out to us for your moving needs. Give us a call and see why Lux Moving and Storage is so highly recommended in the industry.